What’s it like to have millions of fans when you’re 10? What’s it like to have thousands of people insult or adore you? Welcome to the strange world of social media superstars. 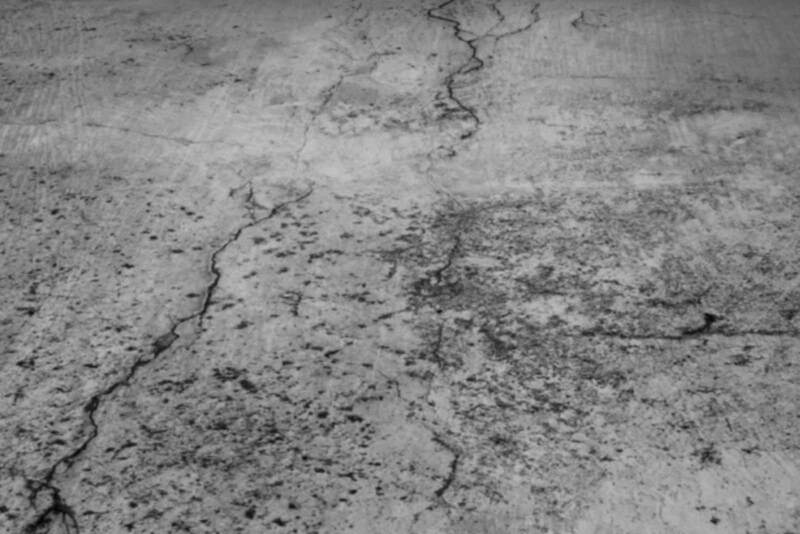 Stephanie Hegarty meets the young people whose lives are built around likes, but are increasingly suffering from mental health problems and burn out. 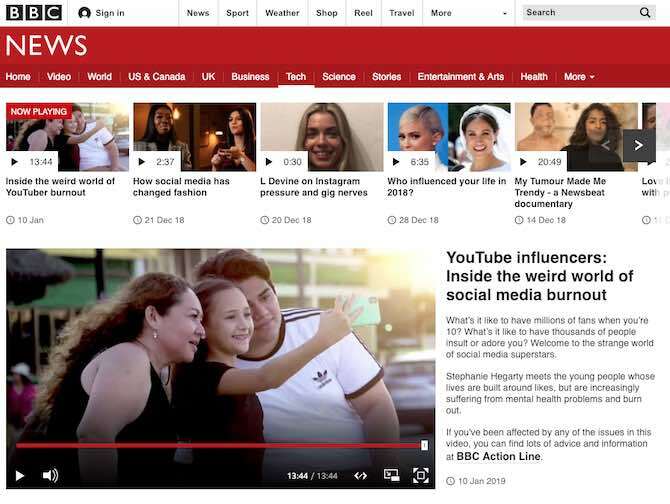 If you’ve been affected by any of the issues in this video, you can find lots of advice and information at BBC Action Line. 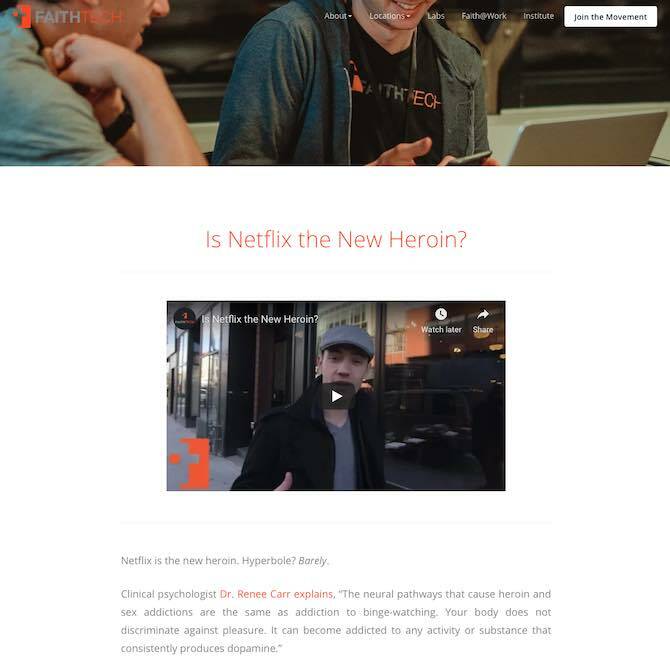 Is Netflix the New Heroin? What a great question. How have your viewing habits changed since Netflix? Netflix is the new heroin. Hyperbole? Barely. According to Deloitte research, 70% of consumers binge-watch an average of five episodes in one sitting. Another study found that those ages 14-33 binge watch an average of 5 hours in a single sitting. When you stop and think about these stats there is only one way to define them: addiction. 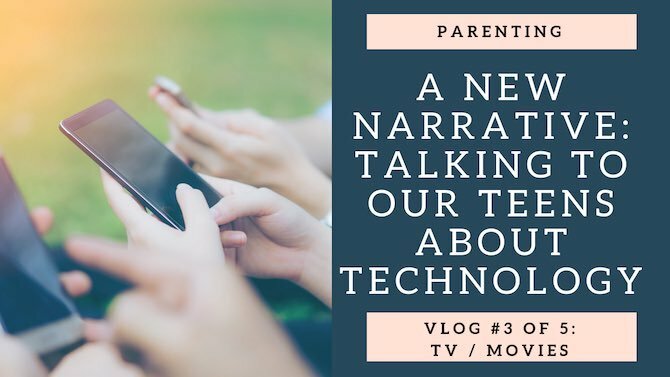 This is part 3 of a 5 part video blog (vlog) series where we will be looking at trying to change the narrative of how we speak to our kids about technology. We will look at current ways parents talk to teens about tech and then look at a new narrative that teens will respond to better. We need to move from telling to teaching. Today we look at a new way to talk to our kids around the conversations on TV/Movies. A really important conversation here. 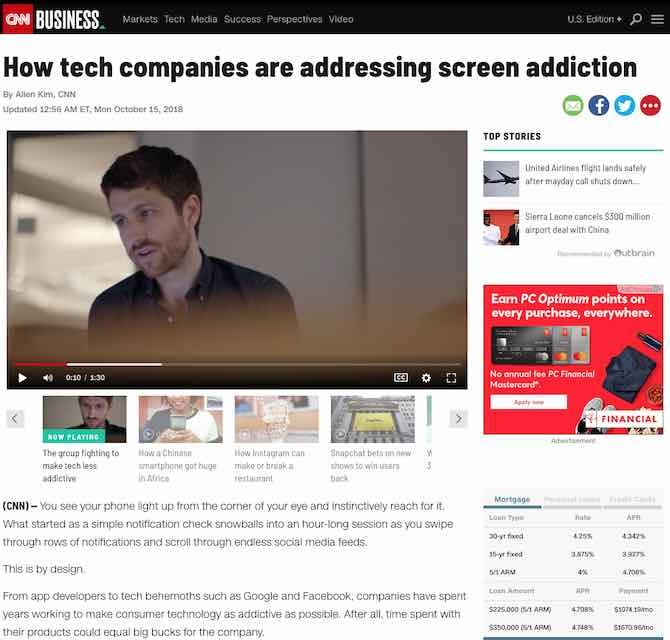 From app developers to tech behemoths such as Google and Facebook, companies have spent years working to make consumer technology as addictive as possible. After all, time spent with their products could equal big bucks for the company. However, that’s starting to change, and we could be at the precipice of a shift in how software is designed. Apple and Google are implementing new features aimed at curbing phone usage, and apps like Instagram are rolling out features intended to help you manage your time with the app better. So, why are they doing this, and is it enough? Parents often message me talking about their kids and their addiction to their phones. We rarely talk about the phone use of us as parents. 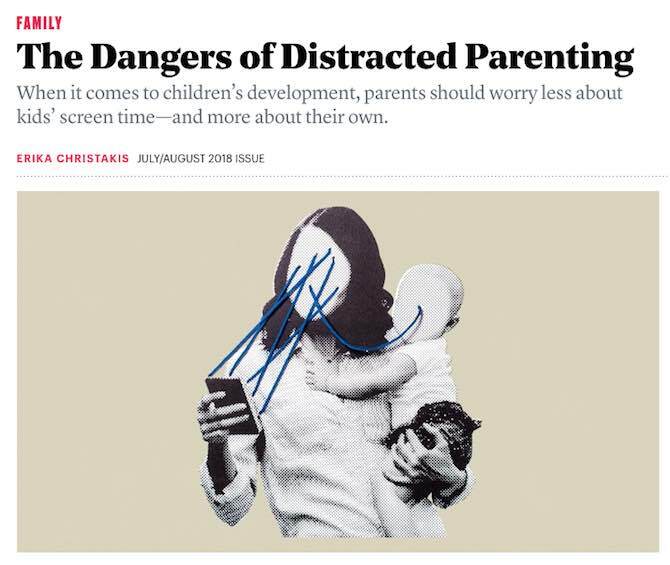 Yet for all the talk about children’s screen time, surprisingly little attention is paid to screen use by parents themselves, who now suffer from what the technology expert Linda Stone more than 20 years ago called “continuous partial attention.” This condition is harming not just us, as Stone has argued; it is harming our children. The new parental-interaction style can interrupt an ancient emotional cueing system, whose hallmark is responsive communication, the basis of most human learning. We’re in uncharted territory. Really interesting article. What are your thoughts?